Luna Sea Artisan Gallery 250 Stage Rd., (650) 879-1207. F 12-5, Sat-Sun 11-5, M 12-4. This house turned art gallery is crammed with handmade goods and is the perfect place to look for a unique gift. You’ll find everything from vibrantly colored ceramics for the table to driftwood benches for the garden. It is interesting to know that Gordon Moore, the founder of Intel, grew up in this house. Brunch at Skates features a variety of Mimosas and a fun build-your-own Bloody Mary bar containing assorted pickled and fresh vegetables (I am in love with the little red peppadew peppers), an expansive assortment of bottled hot sauces, and very spicy freshly made horseradish. The menu includes a selection of fresh shellfish, baked fresh Dungeness crab-artichoke dip, fried calamari misto, a yummy open-face crab sandwich with artichokes and melted Cheddar cheese on toasted sourdough bread, a seafood Louie salad with fresh Dungeness crab and poached jumbo tiger prawns, a tasty Benedict Florentine with spinach instead of Canadian bacon, and a tart and creamy Key lime pie. All this and that stunning three-bridge view, too! Hida Tool & Hardware 1333 San Pablo Ave./Gilman Ave., (800) 443-5512, (510) 524-3700. M-Sat 9am-6pm. This small specialty shop stocks exquisite Japanese tools for woodwork, gardens, Bonsai, and kitchens--everything from long-reach pruners to teapots. King of Thai Noodle 184 O’Farrell St./Powell St., (415) 677-9991. Daily 11-1am; $. A purple hole in the wall right next door to Macy’s, this cheery spot hits the spot with well-priced Thai dishes that are served quickly. Noodles come as soups or stir-fried, and rice plates and salads are also options. Personal favorites include spicy eggplant over rice and stir-fried flat rice noodles with egg, Chinese broccoli, and sweet black soy sauce. Another King of Thai Noodle in San Francisco. Colton Hall 570 Pacific St./Madison St., (831) 646-5648. Daily 10-4. Free. Built in 1849, this New England-style building was the original town hall and later a school. It was built of Carmel stone amid a sea of adobes and was the largest building west of the Rockies at the time. California’s first constitution was drafted here in 1849, and today the second floor assembly hall is restored to appear as it did when the Constitution Convention met here. The Old Jail (behind Colton Hall) was constructed of thick Monterey stone granite in 1854. Featuring thick, narrow doorways and iron doors, it replaced the old adobe jail that, according to historian Dennis Copeland, “people could dig out of with rain and a spoon.” No one ever escaped from this one. Restaurant 1833 (formerly Stokes Restaurant & Bar) 500 Hartnell St. One of the oldest buildings in Monterey, the historic 1833 Stokes Adobe was originally a single room with a traditional red-tile roof. Tiles were hand-shaped by workers who pressed lengths of thick, moist adobe around their upper thighs. Seven more adobe rooms and a second floor were added in 1844. (You can see some of the original adobe wall opposite the restrooms.) Now it is updated with a comfortable, airy, and stylish interior. You can have a drink at the backlit white onyx bar and choose from seven different dining areas, including The Library (which was the original adobe room) and a front-yard patio with four fire pits. Menu choices include a fixed-price extravaganza. Truffle chicken—a signature dish that takes one hour to prepare-- is brought to the table whole in its frying pan to be admired before it is returned to the kitchen for plating. Items on the fixed price menu ($65/person) might include a crispy hen egg (this busy egg is deep-fried and features a yolk that runs out when you pierce it), soft pillows of gnocchi accented with crispy-crunchy croutons, and perhaps a too-delicious butterscotchy bourbon pudding. Drinks include creative cocktails and several cellars full of wine. After dessert, the absinthe cart—with 15-plus choices, it is said to be the largest selection in the United States--can be rolled tableside for you to select either the traditional way (with ice and a sugar cube) or the Russian way (igniting and inhaling the fumes). Either way, it is quite a show and a spectacular conclusion to an exceptional meal. Playful touches include presenting the check inside an antique math book which many diners feel compelled to sign. It’s fun to know that this is where the Rat Pack ate when the restaurant was Gallatin’s and that they live on in the mellow music system. The Creekside Inn is an a very accessible place to overnight while exploring the Russian River area. There’s plenty of accessible parking, with barrier-free access to the office, and elevator access to the second floor of this 28-room property. The Lark Cabin is the most accessible unit, with wide doorways, barrier-free pathways and a spacious bathroom with a roll-in shower and a fold-down shower seat. Other bathroom access features include a hand-held showerhead, shower grab bars, a roll-under sink and toilet grab bars on the back and side walls. 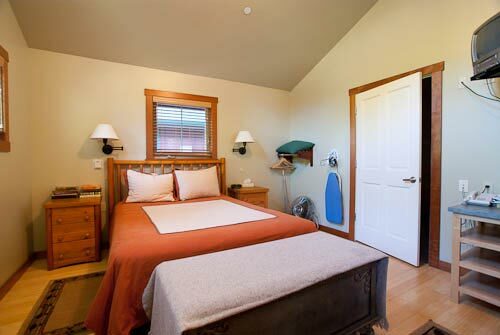 Access to the public areas is good too at the Creekside Inn, with a lift available for the pool and hot tub. There's also a barbeque area with level access and an accessible picnic table. And with the Russian River flowing in the background it's the perfect place to sip a glass of wine and enjoy the natural beauty of Sonoma County. Candy Harrington is the author of 22 Accessible Road Trips; Driving Vacations for Wheelers and Slow Walkers. This great resource features 22 driving routes across the United States with information about wheelchair-accessible sites, lodging options, trails, attractions and restaurants along the way. A long-time favorite for a special night out, atmospheric Fandango is just off Pacific Grove’s main street. Stick to the classics—rack of lamb Provencal, fresh petrale sole, paella—and head to the Grand Marnier souffle for dessert (I prefer the hot version, but when it isn’t available a frozen version usually is). 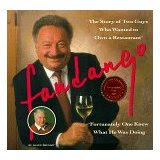 Proprietor Alan F. Shugart’s book—“Fandango: The Story of Two Guys Who Wanted to Own a Restaurant”--makes a good souvenir. It tells the interesting story behind the restaurant and also includes some favorite recipes. Things to do in nearby Monterey. 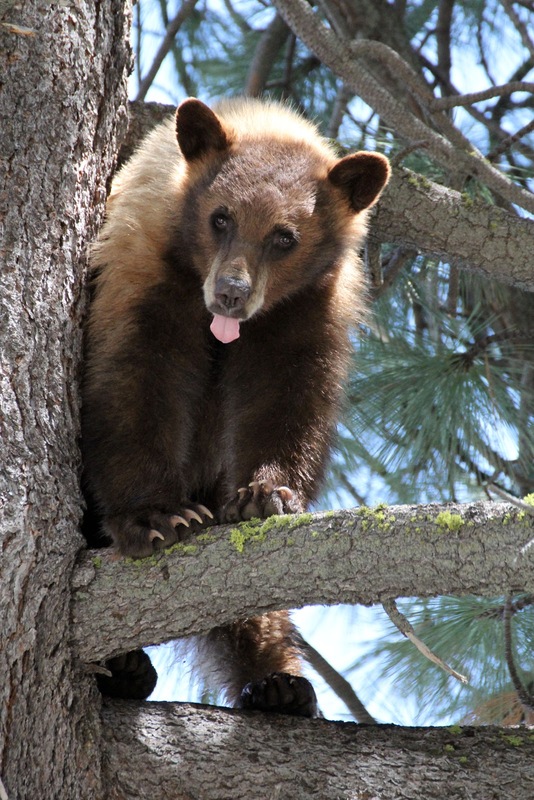 The new "Ursus Among Us" exhibit at the Gatekeeper's Museum brings you up close and personal with bear facts. The goal of the exhibit is to replace fear with facts and improve human behavior with regard to co-existing with local bears. Among the items on exhibit are an antique bear trap, replica claws, and a taxidermy black bear.